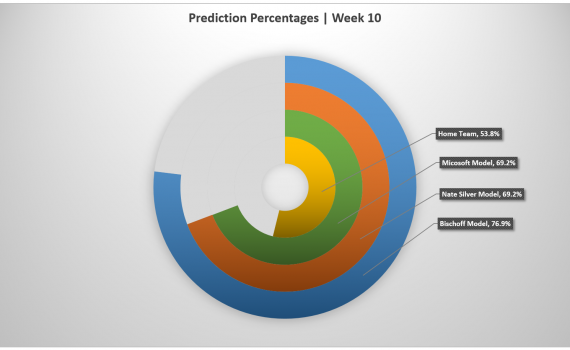 All three models performed relatively well for week 10. Nate Silver’s Elo and Microsoft’s Cortana both coming in at 69.2% accurate and the Bischoff model hitting 76%. 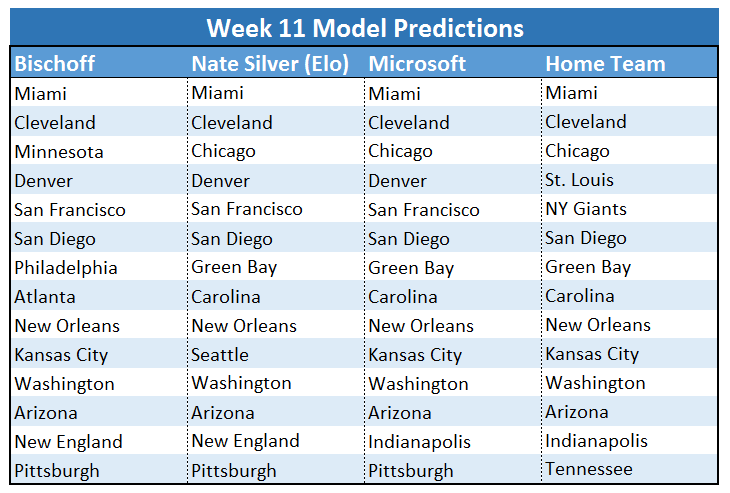 Moving into week 11 there are some strong differences between the Bischoff model and the other two. Most notably Minnesota at Chicago, Philadelphia at Green Bay, and Atlanta at Carolina. Here are the full predictions.